Tincture of the flowers of Aspen, Bluebell, Chamomile, Chicory, Elm, Gentian, Honeysuckle, Mimulus, Mustard, Pink Cherry, Rock Rose, Star of Bethlehem, Vervain, Walnut and Zinnia. Alcohol content approx. 27%(v/v). Below are reviews of A Vogel Animal Separation Essence - 30ml by bodykind customers. If you have tried this product we'd love to hear what you think so please leave a review. 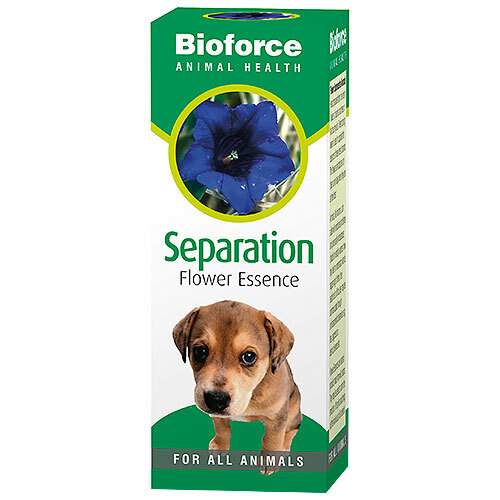 This combination of flower remedies have been blended together to help provide support and ease the anxiety and pain which may be causing the animal to pine and feel unsettled.